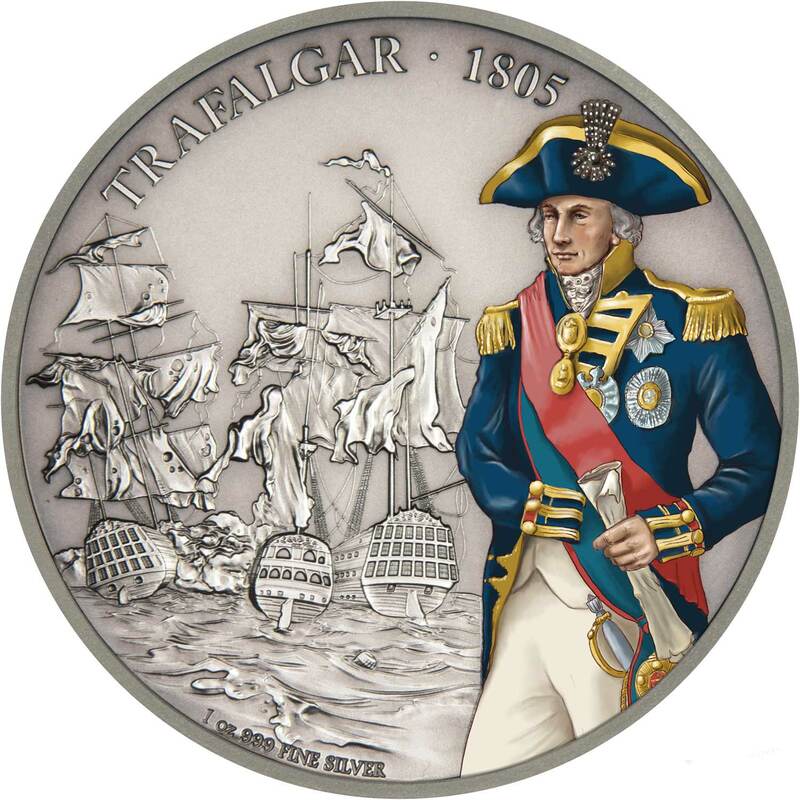 Completely inspired by the earlier 2016 debuting series called Warriors of History, this latest range of coins from the New Zealand Mint has shifted sideways a little by portraying the battles that have made important changes to the directions of world history, often in hindsight even if not at the time, rather than the massed combatants that fought them. 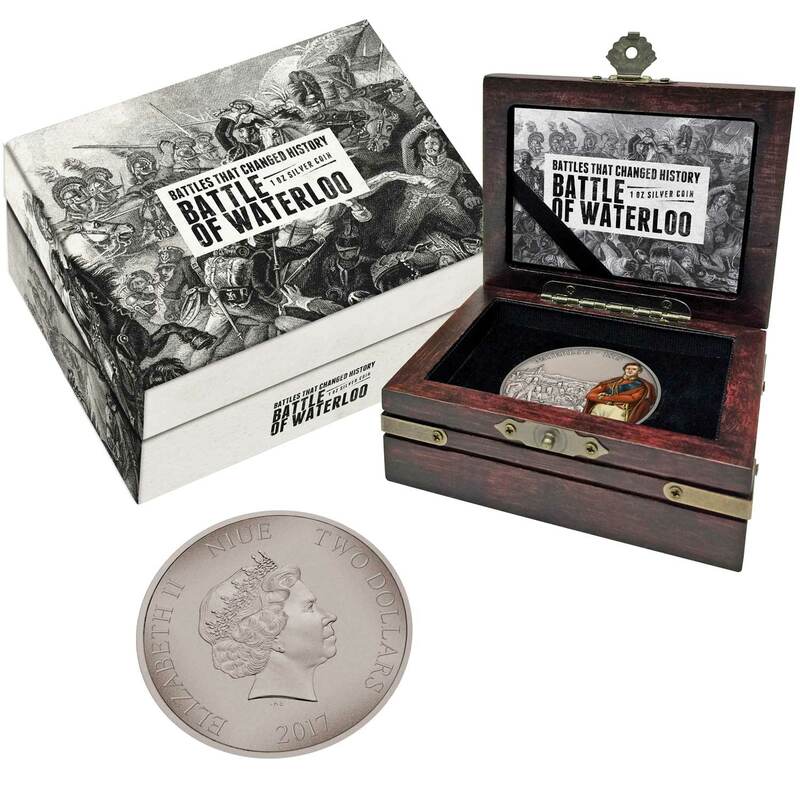 It’s a fine idea for a companion series to the popular Warriors coins and called simply Battles That Changed History. 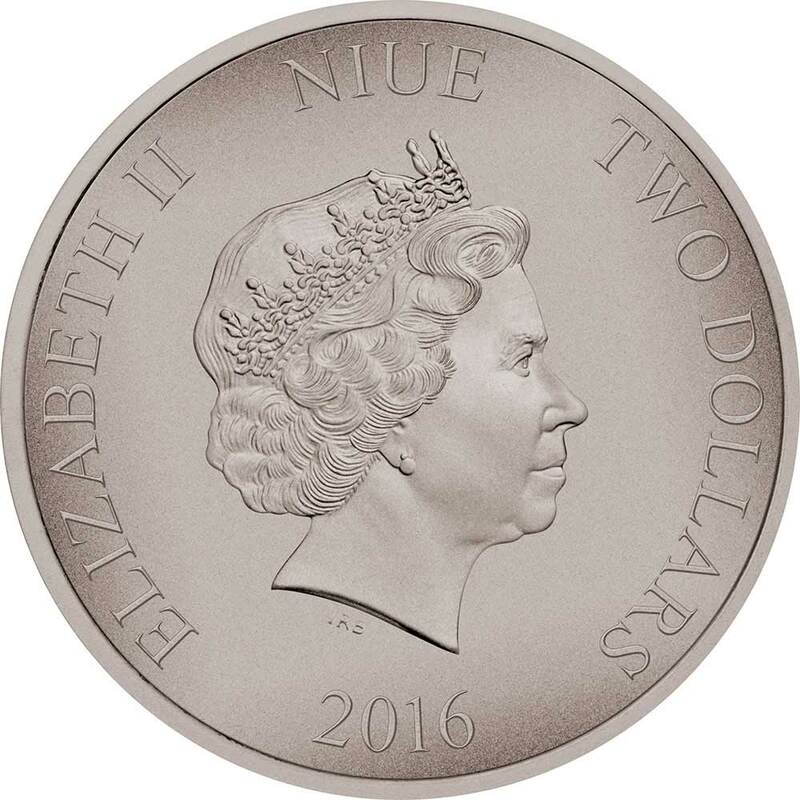 Like all NZ Mint coins these are issued for Niue Island and thus the obverse carries the Ian Rank Broadley effigy of Queen Elizabeth II. This is surrounded by inscriptions bearing the date, denomination and issuer. 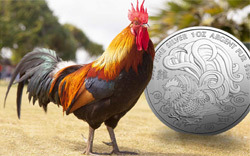 It’s a standard obverse design for the NZ Mint. 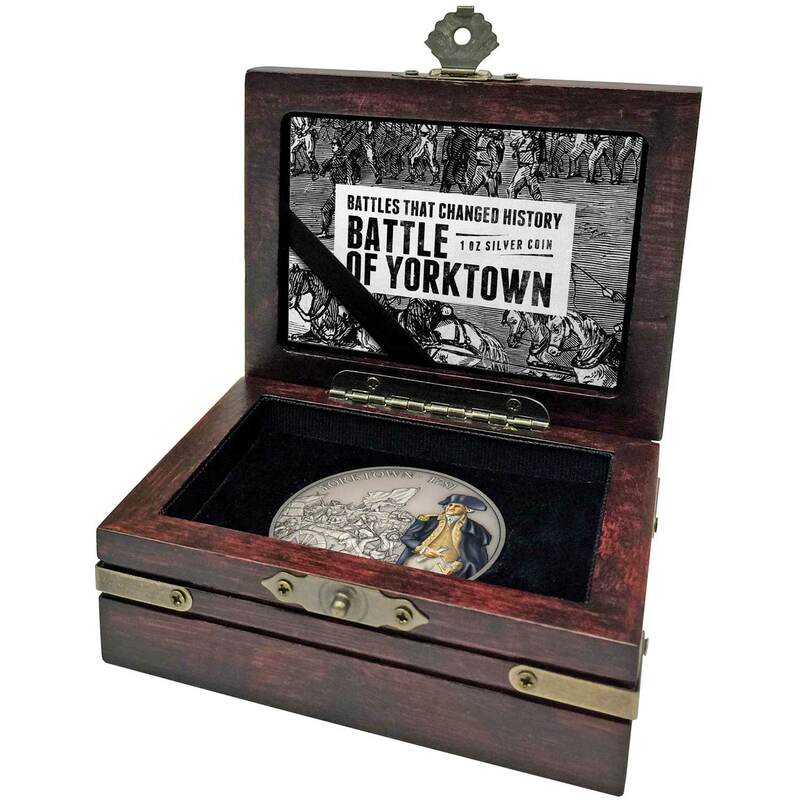 Unlike the superb book-style packaging of the Warriors of History series, Battles uses the small wooden chest previously employed on such series as Journeys of Discovery, as well as the recent Pirates of the Caribbean 5 coin. It’s a fine item, but we do prefer the sheer neatness and design of the book-style better. A themed serialised certificate of authenticity is enclosed. 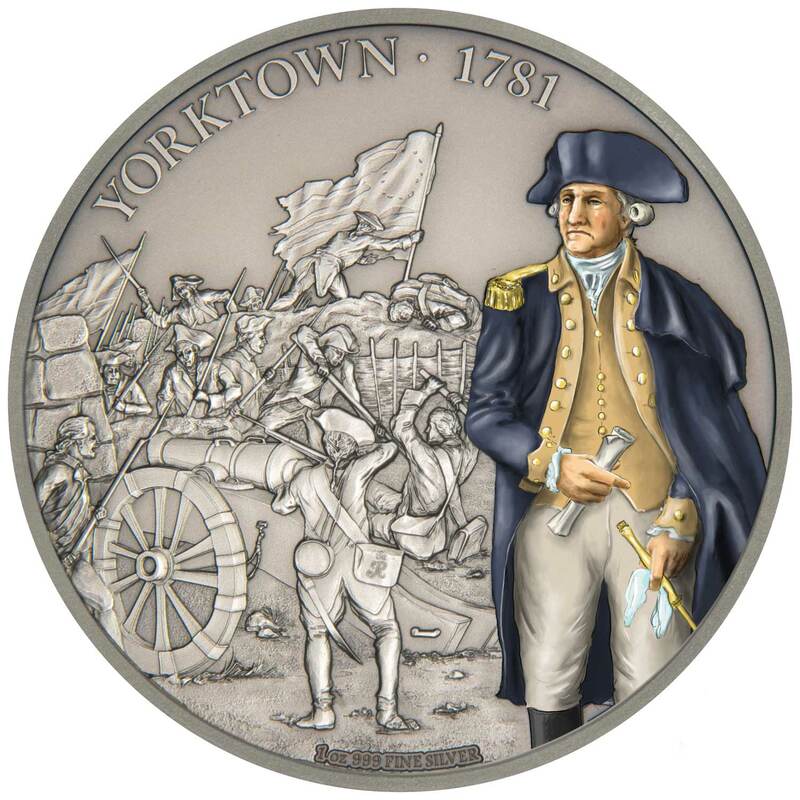 When we first wrote this profile (November 2017), the release of the fourth coin in this series had just happened, so four coins in less than six months, given the first was only released in June, is quite an intense schedule, but Yorktown is already sold out of its 5,000 mintage, so clearly the demand is there. The background scene and choice of the pivotal historical figure that was involved in the particular battle is a great combination. 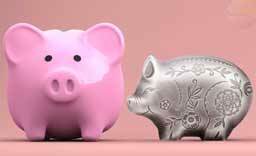 We saw ideas for six coins back in Berlin in February 2017, but as of September 2018 we’re on our seventh coin, so hopefully there’s still plenty of mileage left in the series. 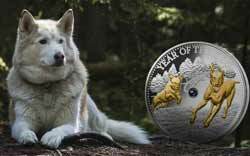 Selling for $85.00 USD per coin, we’d expect and hope this series will run through 2018. Warriors of History is now ten coins old and (possibly) still going, so perhaps this will join that in longevity. 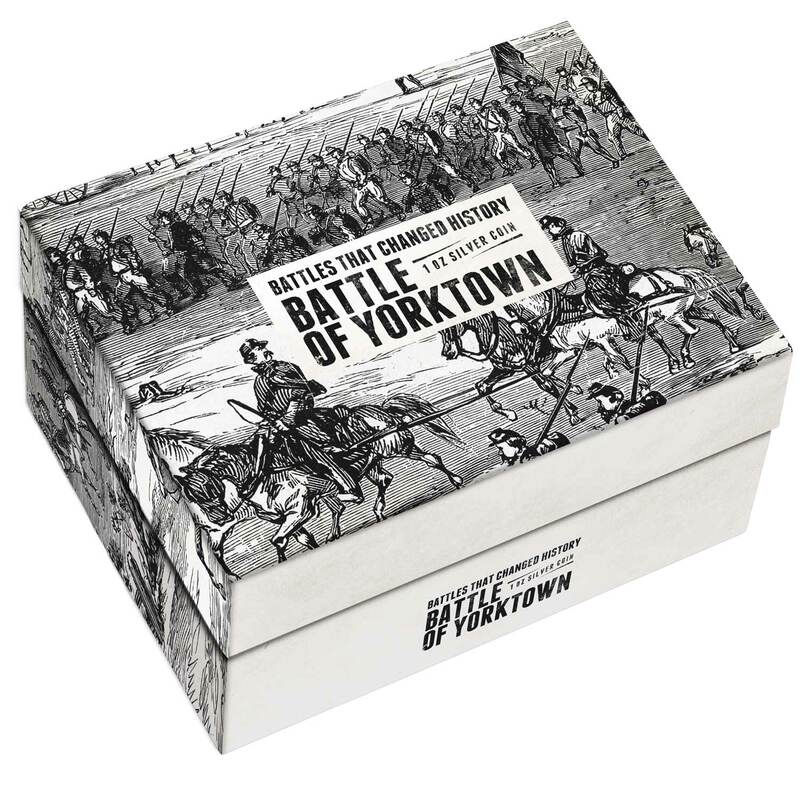 The Battle of Yorktown, ending on October 19, 1781, at Yorktown, Virginia, was a decisive victory by a combined force of American Continental Army troops led by General George Washington and French Army troops led by the Comte de Rochambeau over a British Army commanded by British peer and Lieutenant General Charles Cornwallis. The culmination of the Yorktown campaign, the siege proved to be the last major land battle of the American Revolutionary War in the North American theater, as the surrender by Cornwallis, and the capture of both him and his army, prompted the British government to negotiate an end to the conflict. The battle boosted faltering American morale and revived French enthusiasm for the war, as well as undermining popular support for the conflict in Great Britain. In 1780, approximately 5,500 French soldiers landed in Rhode Island to assist their American allies in operations against British-controlled New York City. Following the arrival of dispatches from France that included the possibility of support from the French West Indies fleet of the Comte de Grasse, Washington and Rochambeau decided to ask de Grasse for assistance either in besieging New York, or in military operations against a British army operating in Virginia. On the advice of Rochambeau, de Grasse informed them of his intent to sail to the Chesapeake Bay, where Cornwallis had taken command of the army. Cornwallis, at first given confusing orders by his superior officer, Henry Clinton, was eventually ordered to build a defensible deep-water port, which he began to do in Yorktown, Virginia. Cornwallis’ movements in Virginia were shadowed by a Continental Army force led by the Marquis de Lafayette. 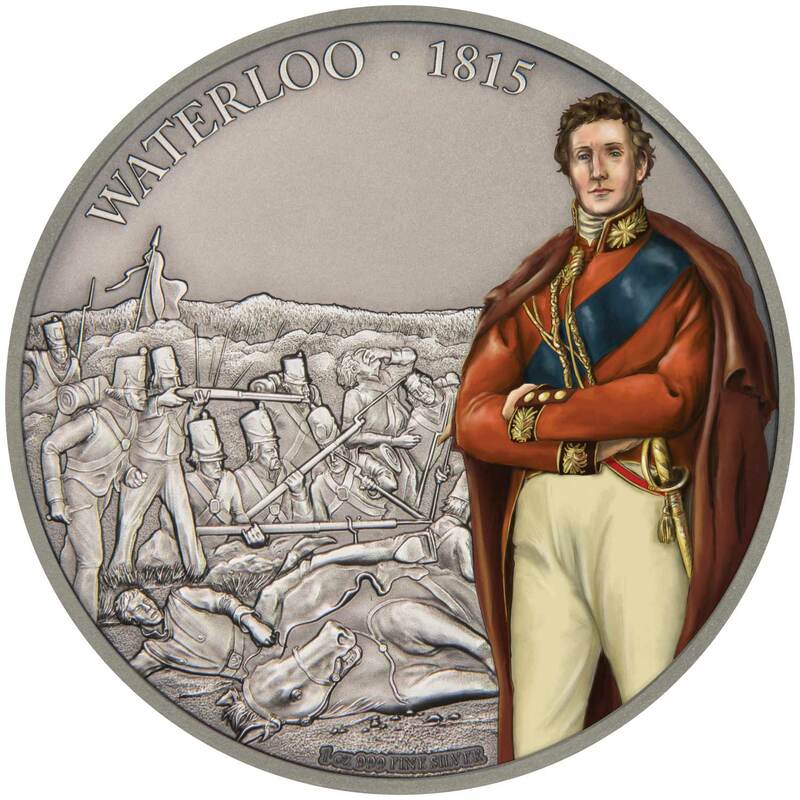 The Battle of Waterloo was fought on Sunday, 18 June 1815, near Waterloo in present-day Belgium, then part of the United Kingdom of the Netherlands. A French army under the command of Napoleon was defeated by the armies of the Seventh Coalition, comprising an Anglo-allied army under the command of the Duke of Wellington combined with a Prussian army under the command of Gebhard von Blücher. Upon Napoleon’s return to power in March 1815, many states that had opposed him formed the Seventh Coalition and began to mobilize armies. Two large forces under Wellington and Blücher assembled close to the north-eastern border of France. Napoleon chose to attack in the hope of destroying them before they could join in a coordinated invasion of France with other members of the coalition. 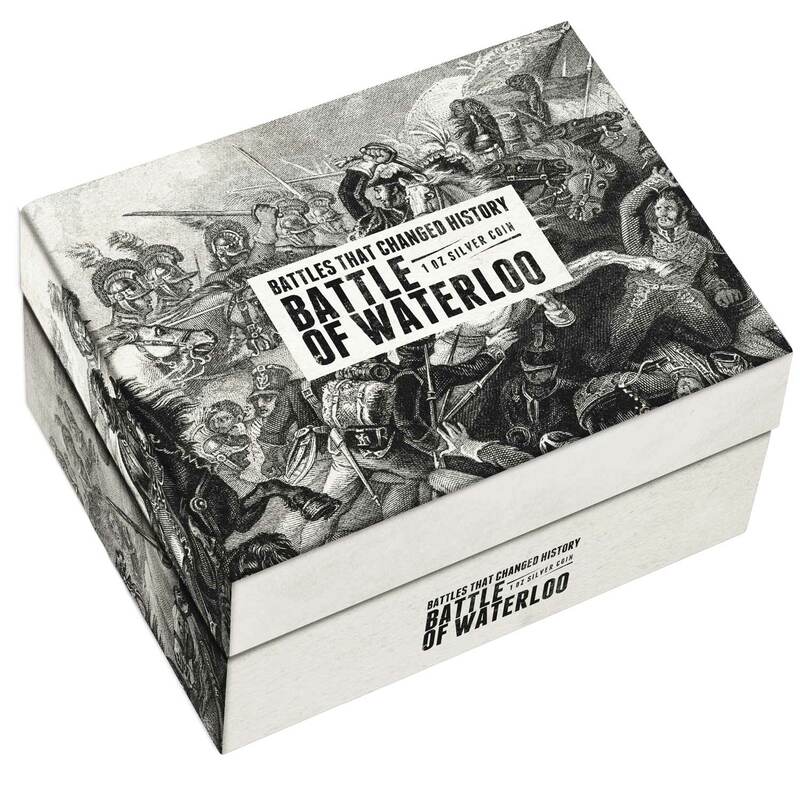 Waterloo was the decisive engagement of the Waterloo Campaign and Napoleon’s last. 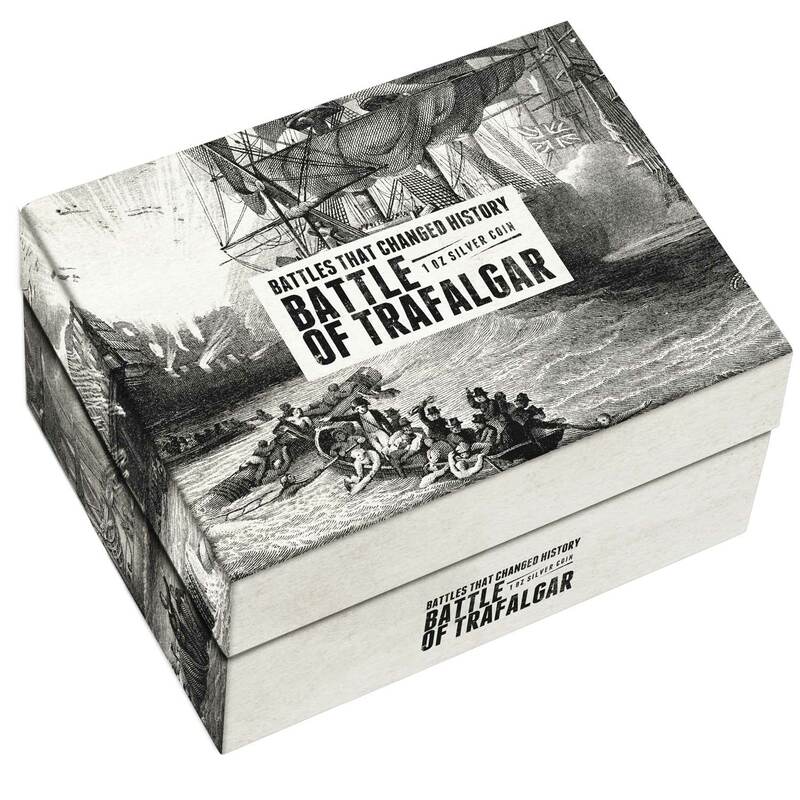 According to Wellington, the battle was “the nearest-run thing you ever saw in your life”. The defeat at Waterloo ended Napoleon’s rule as Emperor of the French, and marked the end of his Hundred Days return from exile. Two days before the battle, Blücher’s Prussian army had been defeated by the French at Ligny. Wellington decided to offer battle upon learning that the Prussian army had regrouped and was able to march to his support. Wellington’s army, positioned across the Brussels road on the Mont-Saint-Jean escarpment, withstood repeated attacks by the French, until, in the evening, the Prussians arrived in force and broke through Napoleon’s right flank. At that moment, Wellington’s Anglo-allied army counter-attacked and drove the French army in disorder from the field. Pursuing coalition forces entered France and restored King Louis XVIII to the French throne. Napoleon abdicated, eventually surrendering to Captain Maitland of HMS Bellerophon, part of the British blockade, and was exiled to Saint Helena where he died in 1821. The battlefield is located in Belgium, about 15 kilometres south of Brussels, and about 2 kilometres from the town of Waterloo. The site of the battlefield today is dominated by a large monument, the Lion’s Mound, constructed from earth taken from the battlefield itself. The Battle of Hastings was fought on 14 October 1066 between the Norman-French army of William, the Duke of Normandy, and an English army under the Anglo-Saxon King Harold Godwinson, beginning the Norman conquest of England. 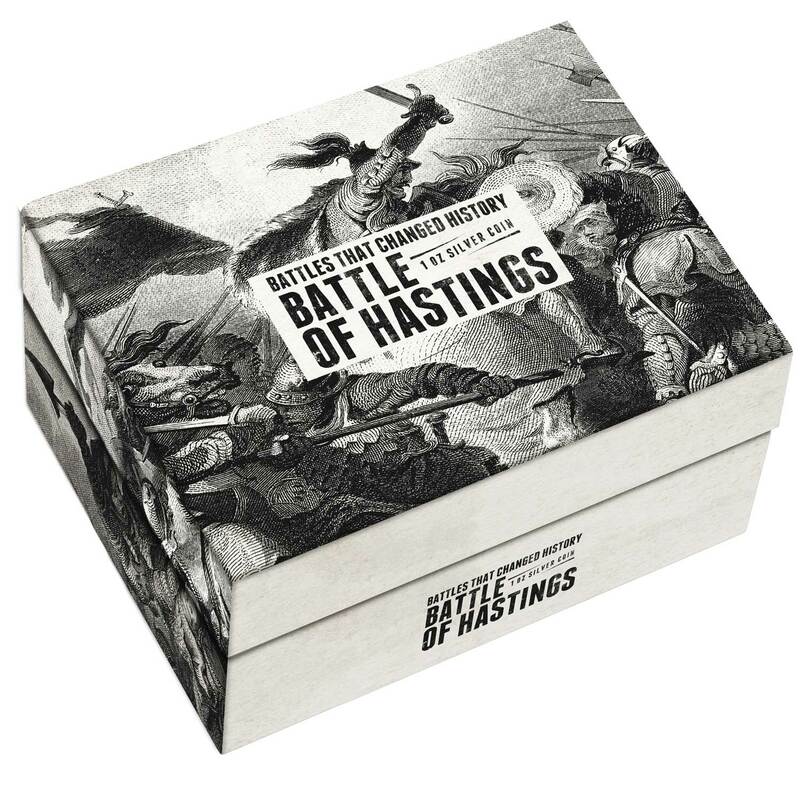 It took place approximately 11 kilometres northwest of Hastings, close to the present-day town of Battle, East Sussex, and was a decisive Norman victory. The background to the battle was the death of the childless King Edward the Confessor in January 1066, which set up a succession struggle between several claimants to his throne. Harold was crowned king shortly after Edward’s death, but faced invasions by William, his own brother Tostig and the Norwegian King Harald Hardrada (Harold III of Norway). Hardrada and Tostig defeated a hastily gathered army of Englishmen at the Battle of Fulford on 20 September 1066, and were in turn defeated by Harold at the Battle of Stamford Bridge five days later. The deaths of Tostig and Hardrada at Stamford Bridge left William as Harold’s only serious opponent. While Harold and his forces were recovering, William landed his invasion forces in the south of England at Pevensey on 28 September 1066 and established a beachhead for his conquest of the kingdom. Harold was forced to march south swiftly, gathering forces as he went. The exact numbers present at the battle are unknown; modern estimates are around 10,000 for William and about 7,000 for Harold. 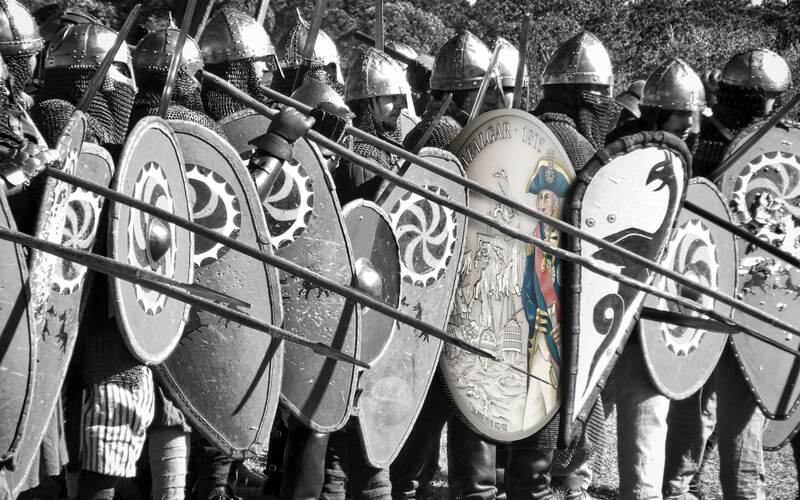 The composition of the forces is clearer; the English army was composed almost entirely of infantry and had few archers, whereas only about half of the invading force was infantry, the rest split equally between cavalry and archers. 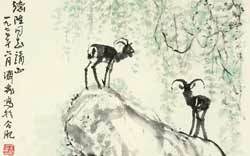 Harold appears to have tried to surprise William, but scouts found his army and reported its arrival to William, who marched from Hastings to the battlefield to confront Harold. The battle lasted from about 9 am to dusk. Early efforts of the invaders to break the English battle lines had little effect; therefore, the Normans adopted the tactic of pretending to flee in panic and then turning on their pursuers. Harold’s death, probably near the end of the battle, led to the retreat and defeat of most of his army. After further marching and some skirmishes, William was crowned as king on Christmas Day 1066. 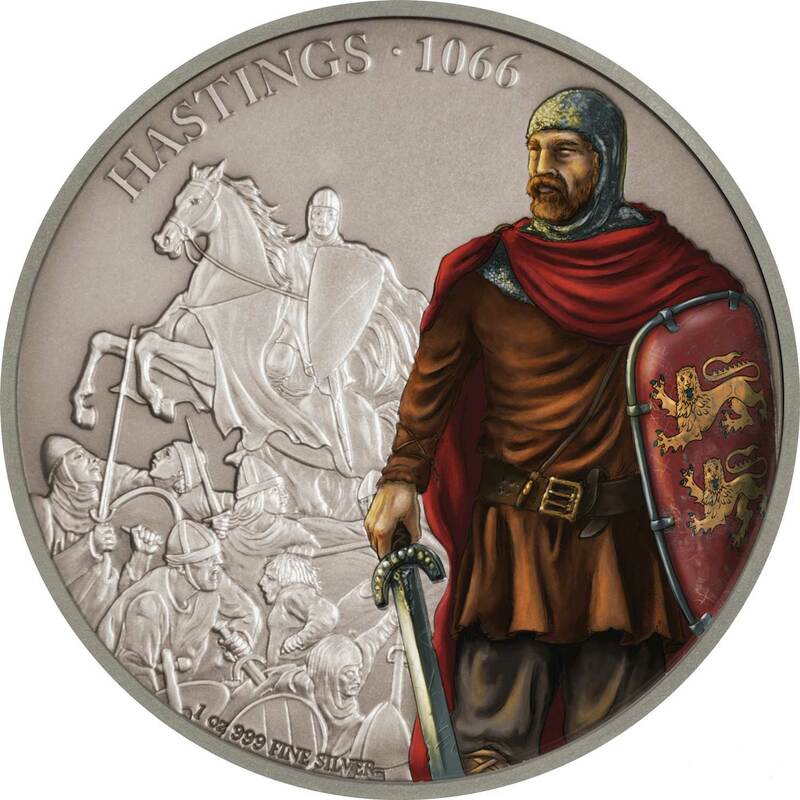 There continued to be rebellions and resistance to William’s rule, but Hastings effectively marked the culmination of William’s conquest of England. Casualty figures are hard to come by, but some historians estimate that 2,000 invaders died along with about twice that number of Englishmen. William founded a monastery at the site of the battle, the high altar of the abbey church supposedly placed at the spot where Harold died. 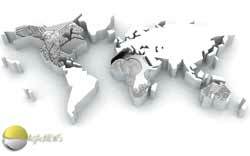 The Japanese operation, like the earlier attack on Pearl Harbor, sought to eliminate the United States as a strategic power in the Pacific, thereby giving Japan a free hand in establishing its Greater East Asia Co-Prosperity Sphere. The Japanese hoped another demoralizing defeat would force the U.S. to capitulate in the Pacific War and thus ensure Japanese dominance in the Pacific. 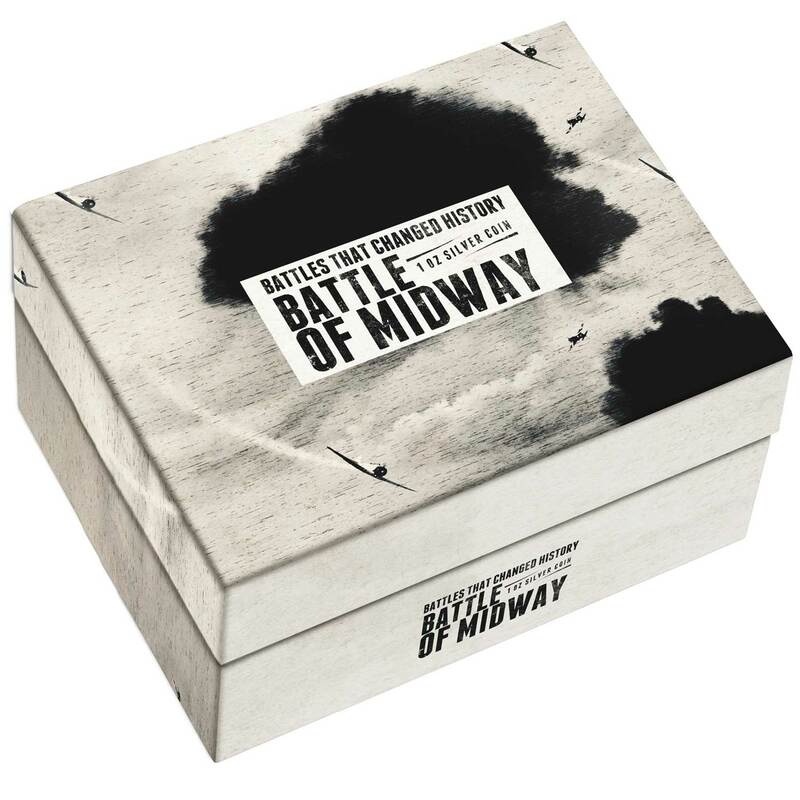 Luring the American aircraft carriers into a trap and occupying Midway was part of an overall “barrier” strategy to extend Japan’s defensive perimeter, in response to the Doolittle air raid on Tokyo. This operation was also considered preparatory for further attacks against Fiji, Samoa, and Hawaii itself. The plan was handicapped by faulty Japanese assumptions of the American reaction and poor initial dispositions. Most significantly, American cryptographers were able to determine the date and location of the planned attack, enabling the forewarned U.S. Navy to prepare its own ambush. There were seven aircraft carriers involved in the battle and all four of Japan’s large aircraft carriers—Akagi, Kaga, Soryu and Hiryu, part of the six-carrier force that had attacked Pearl Harbor six months earlier—and a heavy cruiser were sunk, while the U.S. lost only the carrier Yorktown and a destroyer. After Midway and the exhausting attrition of the Solomon Islands campaign, Japan’s capacity to replace its losses in materiel (particularly aircraft carriers) and men (especially well-trained pilots and maintenance crewmen) rapidly became insufficient to cope with mounting casualties, while the United States’ massive industrial and training capabilities made losses far easier to replace. 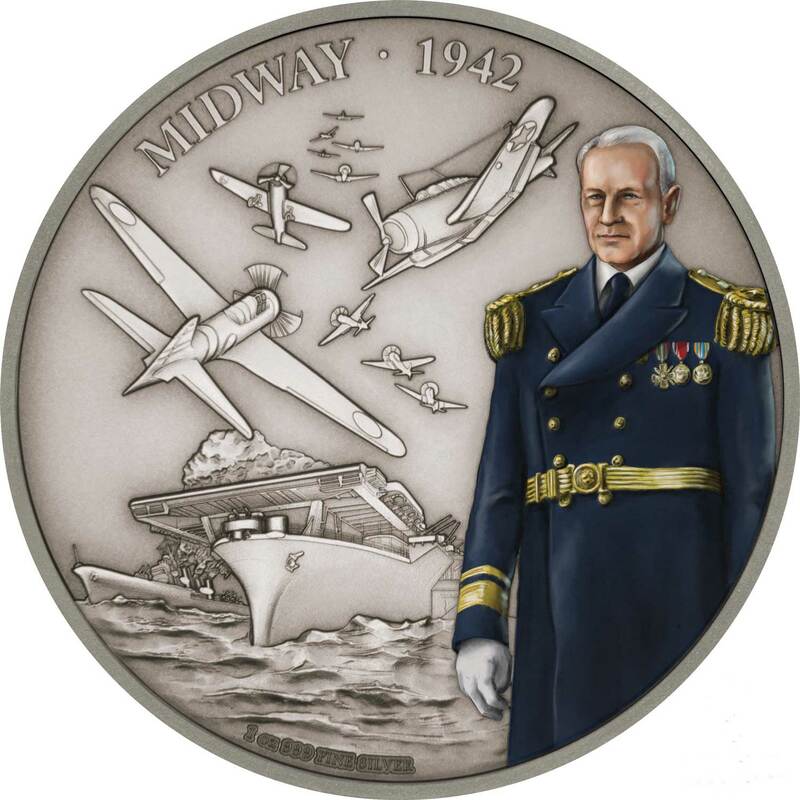 The Battle of Midway, along with the Guadalcanal Campaign, is widely considered a turning point in the Pacific War. 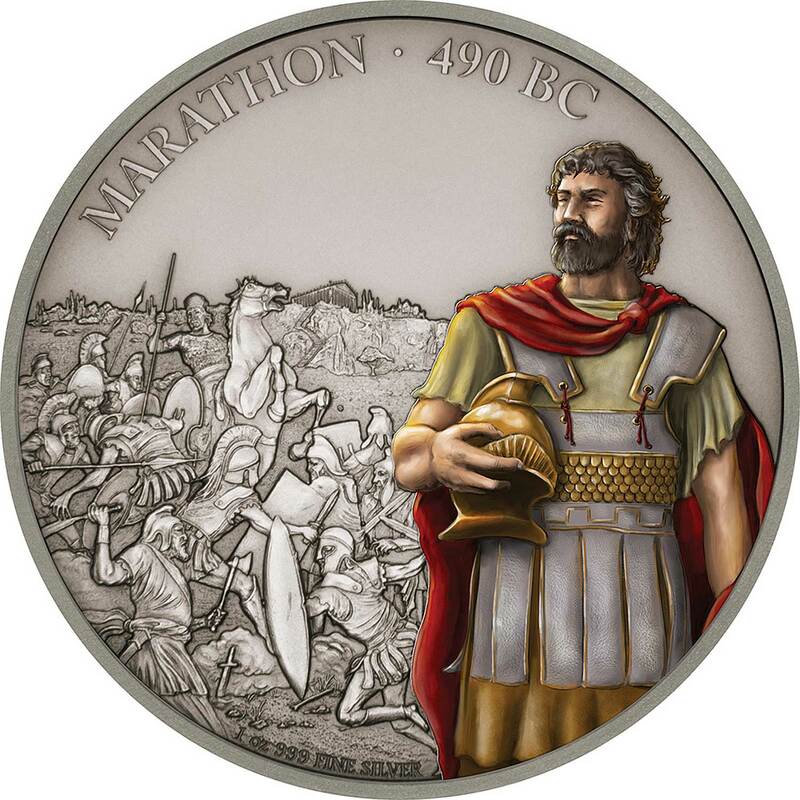 The Battle of Marathon took place in 490 BC, during the first Persian invasion of Greece. It was fought between the citizens of Athens, aided by Plataea, and a Persian force commanded by Datis and Artaphernes. The battle was the culmination of the first attempt by Persia, under King Darius I, to subjugate Greece. The Greek army decisively defeated the more numerous Persians, marking a turning point in the Greco-Persian Wars. The first Persian invasion was a response to Athenian involvement in the Ionian Revolt, when Athens and Eretria had sent a force to support the cities of Ionia in their attempt to overthrow Persian rule. The Athenians and Eretrians had succeeded in capturing and burning Sardis, but they were then forced to retreat with heavy losses. In response to this raid, Darius swore to burn down Athens and Eretria. At the time of the battle, Sparta and Athens were the two largest city-states in Greece. Once the Ionian revolt was finally crushed by the Persian victory at the Battle of Lade in 494 BC, Darius began plans to subjugate Greece. In 490 BC, he sent a naval task force under Datis and Artaphernes across the Aegean, to subjugate the Cyclades, and then to make punitive attacks on Athens and Eretria. Reaching Euboea in mid-summer after a successful campaign in the Aegean, the Persians proceeded to besiege and capture Eretria. The Persian force then sailed for Attica, landing in the bay near the town of Marathon. The Athenians, joined by a small force from Plataea, marched to Marathon, and succeeded in blocking the two exits from the plain of Marathon. The Athenians also sent a message asking for support to the Spartans. When the messenger arrived in Sparta, the Spartans were involved in a religious festival and gave this as a reason for not coming to aid of the Athenians. The Athenians and their allies chose a location for the battle, with marshes and mountainous terrain, that prevented the Persian cavalry from joining the Persian infantry. Miltiades, the Athenian general, ordered a general attack against the Persian forces, composed primarily of missile troops. He reinforced his flanks, luring the Persians’ best fighters into his center. 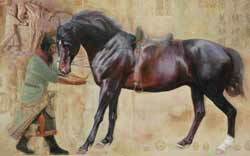 The inward wheeling flanks enveloped the Persians, routing them. The Persian army broke in panic towards their ships, and large numbers were slaughtered. The defeat at Marathon marked the end of the first Persian invasion of Greece, and the Persian force retreated to Asia. Darius then began raising a huge new army with which he meant to completely subjugate Greece; however, in 486 BC, his Egyptian subjects revolted, indefinitely postponing any Greek expedition. After Darius died, his son Xerxes I restarted the preparations for a second invasion of Greece, which finally began in 480 BC. The Battle of Marathon was a watershed in the Greco-Persian wars, showing the Greeks that the Persians could be beaten; the eventual Greek triumph in these wars can be seen to begin at Marathon. The battle also showed the Greeks that they were able to win battles without the Spartans, as they had heavily relied on Sparta previously. 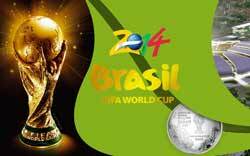 This victory was largely due to the Athenians, and Marathon raised Greek esteem of them. 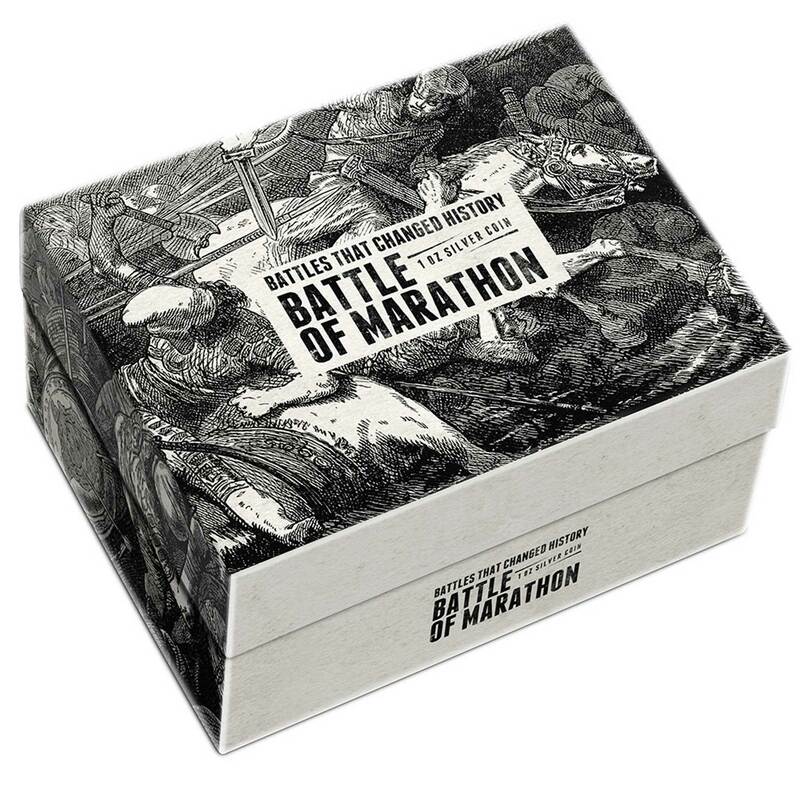 Since the following two hundred years saw the rise of the Classical Greek civilization, which has been enduringly influential in western society, the Battle of Marathon is often seen as a pivotal moment in Mediterranean and European history. The Battle of Gettysburg was fought July 1–3, 1863, in and around the town of Gettysburg, Pennsylvania, by Union and Confederate forces during the American Civil War. The battle involved the largest number of casualties of the entire war and is often described as the war’s turning point. 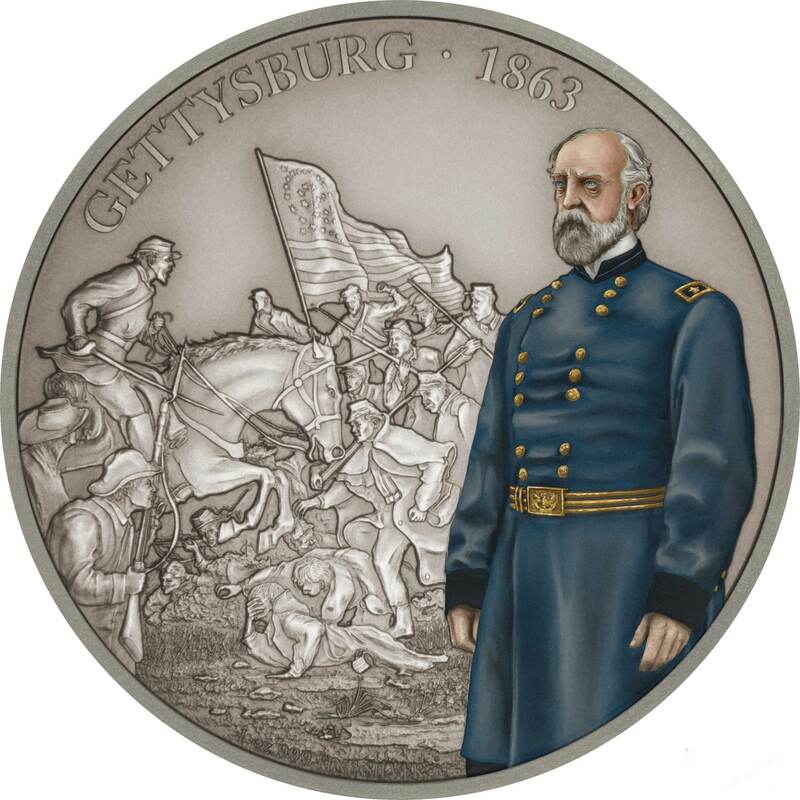 Union Maj. Gen. George Meade’s Army of the Potomac defeated attacks by Confederate Gen.Robert E. Lee’s Army of Northern Virginia, halting Lee’s invasion of the North. On the second day of battle, most of both armies had assembled. The Union line was laid out in a defensive formation resembling a fishhook. In the late afternoon of July 2, Lee launched a heavy assault on the Union left flank, and fierce fighting raged at Little Round Top, the Wheatfield, Devil’s Den, and the Peach Orchard. On the Union right, Confederate demonstrations escalated into full-scale assaults on Culp’s Hill and Cemetery Hill. All across the battlefield, despite significant losses, the Union defenders held their lines. On the third day of battle, fighting resumed on Culp’s Hill, and cavalry battles raged to the east and south, but the main event was a dramatic infantry assault by 12,500 Confederates against the center of the Union line on Cemetery Ridge, known as Pickett’s Charge. The charge was repulsed by Union rifle and artillery fire, at great loss to the Confederate army. Lee led his army on a torturous retreat back to Virginia. Between 46,000 and 51,000 soldiers from both armies were casualties in the three-day battle, the most costly in US history. On November 19, President Lincoln used the dedication ceremony for the Gettysburg National Cemetery to honor the fallen Union soldiers and redefine the purpose of the war in his historic Gettysburg Address.